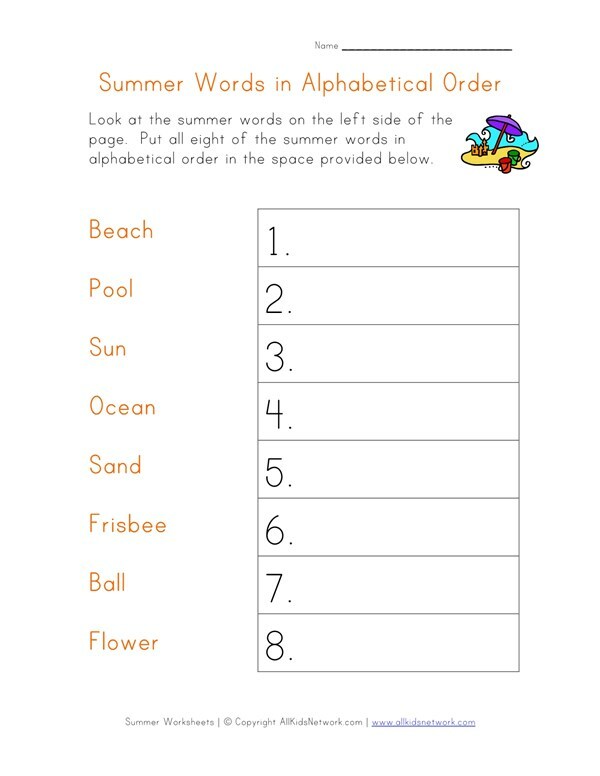 Help kids practice putting words in alphabetical order with this printable summer themed worksheet. 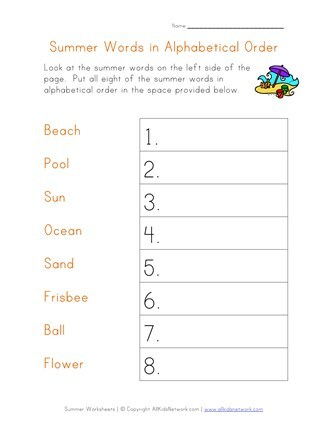 Kids are asked to put the summer words on the page in alphabetical order in the numbered boxes. Click the image or link below to print this worksheet and check out the rest of our summer worksheets which are perfect for any teacher, parent or other caregiver!